Joining the A5 model line, the all-new Audi A5 and S5 Sportback will make their US debut at the 2016 Los Angeles Auto Show. Featuring the distinctive Sportback body style, first introduced on the successful A7 model line, and generous interior space, the five-door coupe is a sporty yet functional choice for customers. 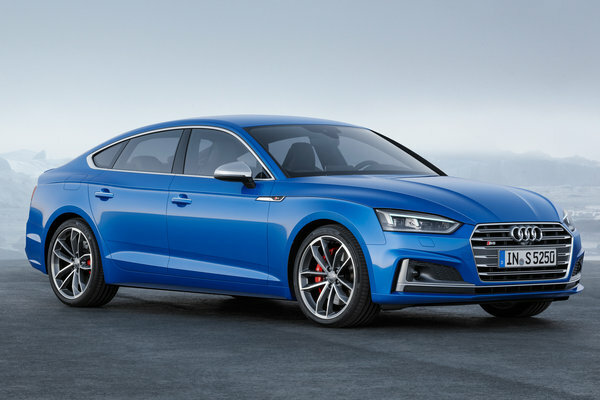 The 2018 A5 and S5 Sportback models mirror the coupe's breakthrough design language, featuring a wider, flatter Singleframe(R) grille and longer, lower hood...Read.